There are many different confusing lighting styles, fixtures and names. How do I know which to use on my aquarium? Light is the source of energy for our live aquatic ecosystem. 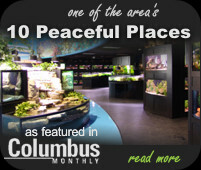 Light is an important factor in the health of an aquarium. Light is the impetus for life in virtually all environments we know. The sun produces the light that starts all life, and begins the chain that includes every life form on earth. Plants and animals that utilize sunlight through photosynthesis form the beginnings of the food chain. Knowledge of balances throughout the ecosystem, including the role of light, can help us better understand how to keep the animals and plants in our enclosures. 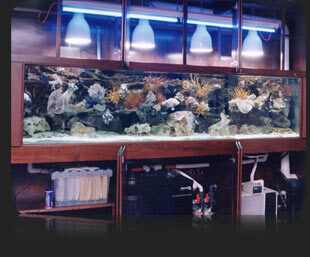 In general, the higher intensity of lighting installed on an aquarium the greater the diversity of life that is able to be maintained. We do not want to replace intensity with duration as this is not a suitable substitute. Instead, increasing light duration can actually have a detrimental effect on plants and animals, such as increased stress (for animals that need “nighttime”), slower growth rates, and increased algae production. 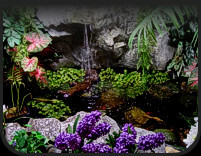 The photoperiod is simply the length of time the lights are on in the aquarium. In other words, if a light is on from 10 AM to 10 PM, then the photoperiod is 12 hours. Since most of the plants and animals we keep are from tropical locations, the photoperiod from where they naturally occur remains fairly constant, around 12 hours. Therefore, it is recommended that this is reproduced in the aquarium. Usage of a timer for the lights goes a long way in ensuring this. This bulb is by far the most common source of lighting on the market. It has many advantages, such as being energy efficient, cool running, available in a wide variety of sizes and spectrums, and it is relatively inexpensive with regards to energy usage. These fixtures require special ballast and bulbs to operate. They can be convenient to use because they behave in the same manner as standard fluorescent bulbs, just with more light output. The main difference is the increased wattage. These fixtures produce powerful and intense light. They also run fairly hot, and may require additional cooling. 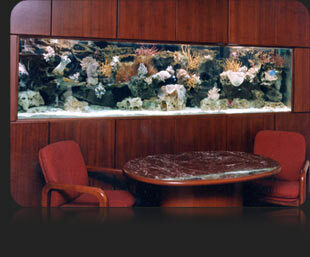 Power compact fluorescents, or power compacts, are a newer addition to the world of aquarium lighting. They differ from other fluorescent in many regards, not the least of which is that they consist of single ended bulbs, instead of double ended. They run in a U-shape configuration, with a set of contact pins at the base. Power compacts require a special ballast and fixture to operate. These bulbs are becoming ever popular in the aquarium industry, due to ease of use, high intensity and low running temperatures. The bulbs themselves are still fluorescent, but are very bright yet run cool, and use little energy to operate, thanks to electronic ballasts and better engineering. The intensity of the bulbs is on par with H.O. lighting. Metal halide fixtures and bulbs are generally considered the highest level intensity available for the aquarium. Much like the previous examples, there are special bulbs and fixtures required for operation. Metal halides produce an enormous amount of heat. The high level of heat liberated from these bulbs can transfer to the water, making it necessary to cool the water with additional equipment. These entire aside, metal halide lighting is considered the ultimate to strive for in aquarium keeping. “Light Emitting Diodes” are the newest lighting concept for aquarium use. Although LED’s have been around for awhile in other industry use they are just now making their way into aquatics. LED’s are extremely energy efficient using just a fraction of the energy needed to burn other types of light bulbs. They are cool running with little or no heat and the bulbs last up to ten years. By using enough LED wattage and the correct color spectrums, lighting for your aquarium can come as close to real sunlight as available today.